I’m a little sad that this is going to be my last post about my trip to Europe. :( But as with all good things, they must come to an end. (How cheesy can I get?) Anyway, having said that, I think it’s only apt to close these series with a photo diary. I’m no photographer but I just wanted to share a few photos that I was able to snap while shopping my heart away in Paris. You won’t find any of the usual touristy photos here though, just a few things that caught my eye. And when I say few, I mean few haha! I was too busy ogling at all the pretty clothes, shoes, and bags. I’m sorry. Forgive me, I’m too much of a girl! 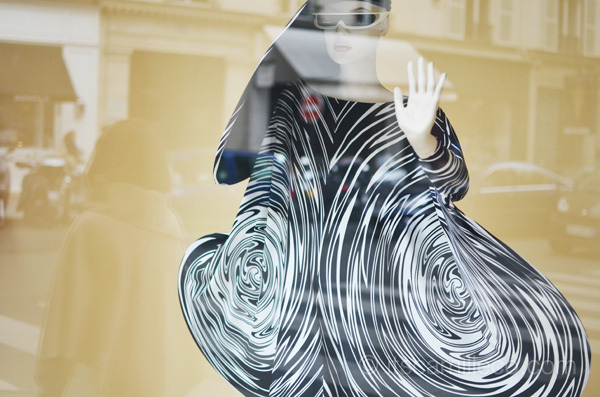 Pierre Cardin window display. I love the vintage feel of this ensemble! It’s so sophisticated and chic! Pierre Cardin window display. 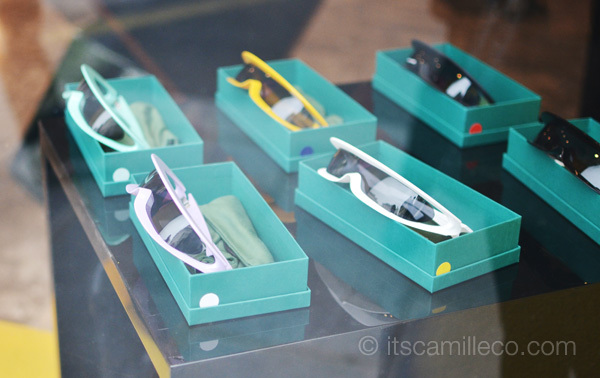 Who would’ve thought you’d find these at Pierre Cardin? Why hello there, Lady Gaga! 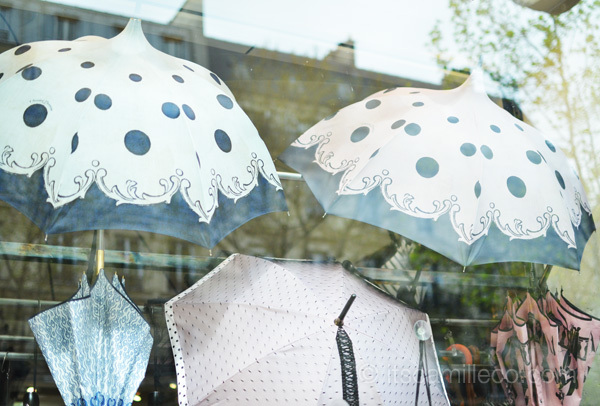 Colette window display. 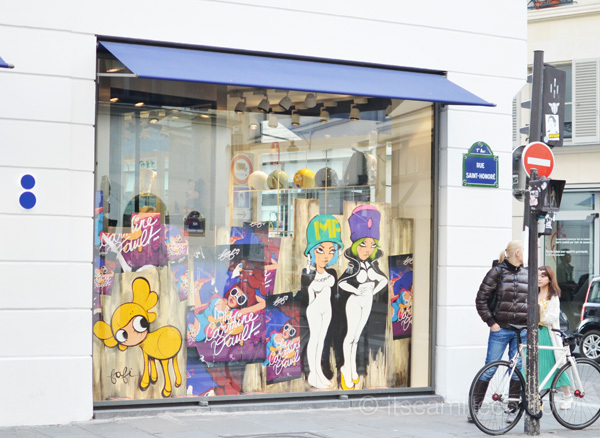 I think this is Paris’ most famous concept store. It has all the best brands I swear! I can’t believe I only heard of this now. Galeries Lafayette. Probably the only touristy photo you’ll see here! 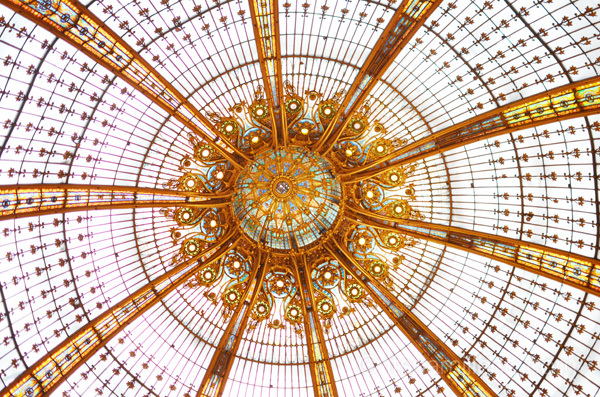 The Galeries Lafayette ceiling is just too pretty not to notice. I’ll probably never grow tired of staring at it whenever I get the chance to visit. 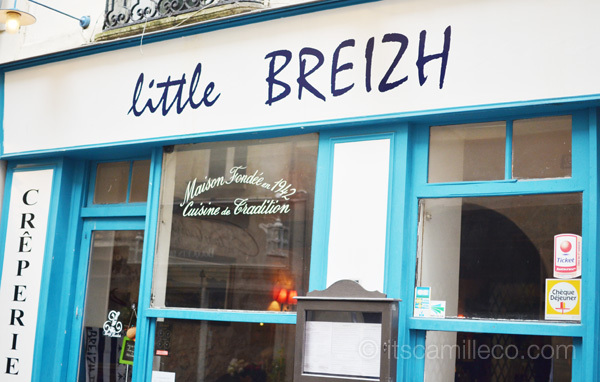 Little Breizh. 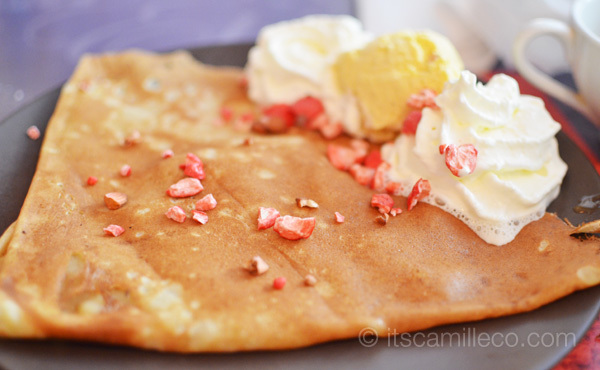 According to my online research, they serve one of the best crepes in Paris. All my friends know how much I love crepes! They’re one of the many things I missed about Paris when I left. Even the crepes on the street are to die for so imagine how good the crepes are here! 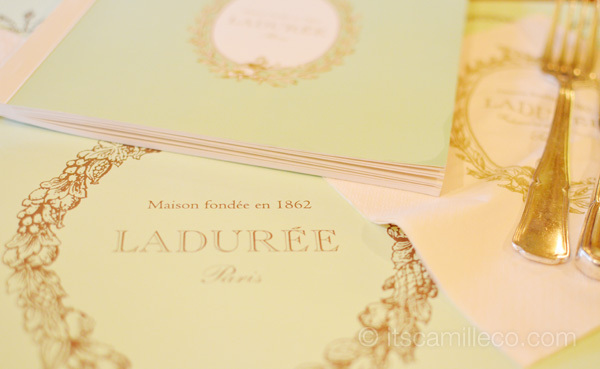 Laduree. Another really famous place in Paris. 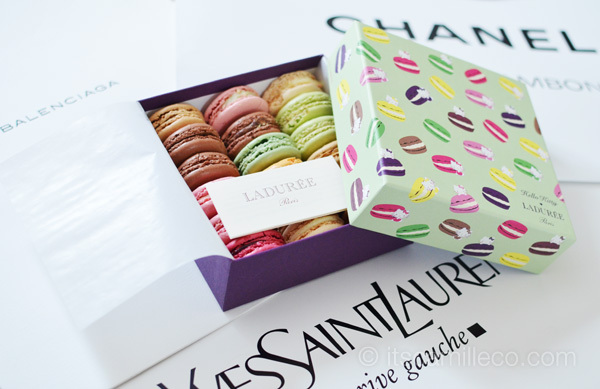 Laduree is known for selling the best macarons. They serve other food as well so we tried them out. They’re pretty good. The serving size is huge though! 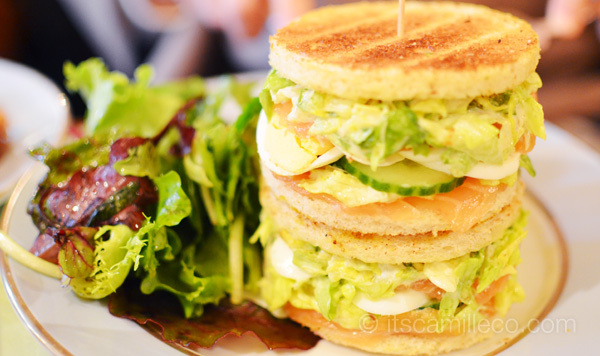 Laduree’s version of a club sandwich. This photo best describes my trip to Paris–all about food and shopping! I forgot the name of this store but it’s really cool! 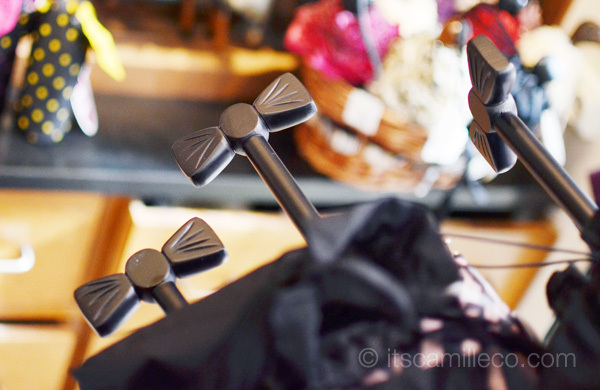 It’s a quaint store along St. Michel selling the most interesting umbrellas. I know this is so random but I think it’s a cool souvenir for those looking for something unconventional. 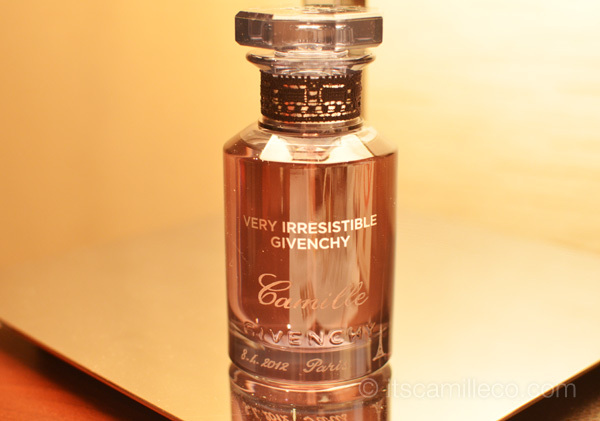 Another great souvenir to remember my trip by– I had my name engraved on the perfume I bought from Sephora. Til we meet again, Paris! What did you get from Chanel, YSL, and Balenciaga? Are they all bags? Ooh pretty! Hoping to go to Paris and check those places out in the future! You’ll love it there for sure! gosh i miss this city so much! great pictures! I miss it already too! :) Thanks! its macaron. not macaroon! it’s two different kind of pastry!! Those are macarons not macaroons :) they look so delicious! Yay! Thanks Nelle! :) I try my best! Hey Camille, I love all your photos! Were you the one who took all of them? You have a good eye… great composition. I myself love macro shots. To have your name engraved – great souvenir indeed! I love ladurÃ©e macaroons are super good I hope you taste, I hope you have time to do things in paris full because there’s solid things to do in Paris. Yes! 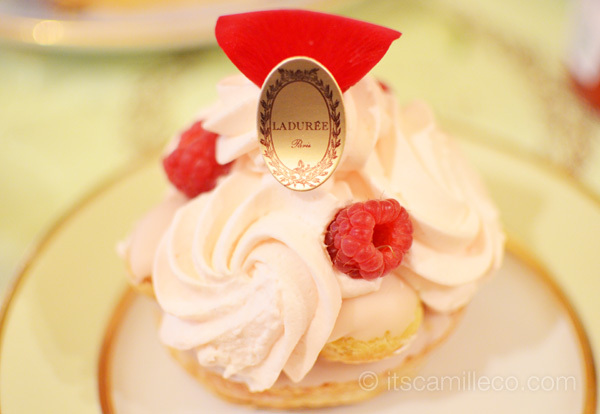 :) I love Paris and Laduree! Galeries Lafayette looks gorgeous! OMG! 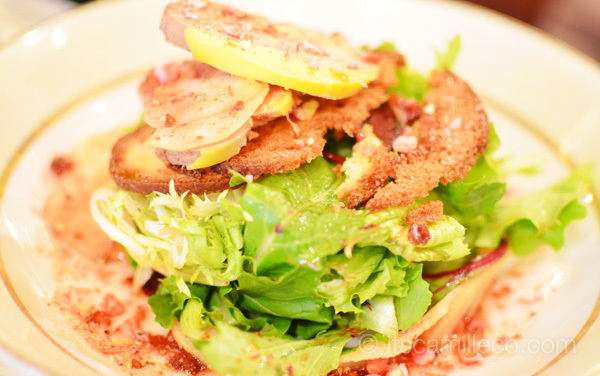 And the food certainly looks yummy!. . .Oh how I wish I could go to Paris too. . . Someday. . . Hopefully. . .
You say you are no photographer, but you always showcase photos that I think are a lot better than most who are aspiring to be professional photogs. You frame well, and your images are always pleasing to the eyes – kudos to you! May you continue to inspire your readers more for years and years to come! As for the makeup tutorial, I haven’t yet but I have blogged about my makeup must-haves. I really enjoyed this post!! I’m visiting Paris again in about a month..I’m soooo excited :) will have to check out that crepe place – I love them as well! Wow! Paris is indeeed a beautiful city! I wanna go there someday!